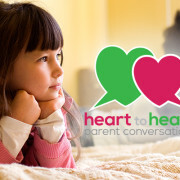 Heart to heart: Parent conversations: What do new dads truly need to know? I think the dads who wrote this month hit it out of the ballpark with their articles. Each article on its own is filled with practical wisdom for any parent (not just new dads). Combined? A tour de force! Please read each article and then share them with the dads (and moms) in your life. If the 2018 version of Jim Aderman could advise the late-1970s Jim Aderman about parenting, the first thing I’d tell that whippersnapper is, “Kids spell love T-I-M-E. Spend time with your kids, Jim. Quality time. Focused time. Time free of ringing phones and buzzing text messages. Time divorced from nagging work projects. “Will using time for your kids threaten your career goals? Yup. But your children are extraordinary gifts from your Father to you and your wife (Psalm 127:3). They are meant to have a higher value than your career. Even a pastor’s career. Forty years from now you won’t wish you could go back in time to get more done at work. “Jim, my second piece of advice is, demonstrate how much you love your kids by loving your wife first. Children feel most secure when they see that Mom and Dad are ‘I-love-you-to the moon-and-back’ committed to each other. Assure them that your marriage is solid because God’s commitment to you in Jesus prompts you to prize their mother above everything else. Even when—no, especially when—she is hard to love. And, by the way, when you love your wife like Christ loved the church, your wife will find it easier to love you and your kids too. “And that reminds me about something else. Jim, your children need to know that you love them because of God’s cross-guaranteed love for you. Rejoice over your kids when they excel in school, when they score in soccer, and when they live their faith. But tell them—every day—that you love them not because they please you, but because of Jesus’ love for you. Tell them that, since God’s grace is constant and measureless, your love for them will never change or fade. Never. Regardless of their grades, their athletic prowess, or their moral standards. “Now, you won’t be able to parent your kids like this driven by your own gumption. If you are going to love your wife and kids like Christ loves you, you need to fill your heart and mind and life with Christ. Immerse yourself in his Word. Read it. Think it through. Study it with others. Share it at your family altar. Celebrate its assurances at worship. Talk with Jesus about it. Of course, 1977-Jim-Aderman will never hear this advice. But, perhaps, it will help you, young father. Why don’t you let me know how it works? Take a deep breath and see how long you can hold it. Ready . . . set . . . go! Sixty-five seconds. That’s all I got. Can you beat my time? In 2012, German freediver Tom Sietas held his breath underwater for 22 minutes and 22 seconds! That’s a long time without taking a breath! Now try making it a day without confessing your sin and hearing the wonderful assurance that your sins are forgiven. Actually . . . don’t. Dads, here’s my advice on how to be a better dad: Breathe. Just as you exhale the carbon dioxide from your lungs and inhale the fresh oxygen you need to live, so to a Christian needs the daily life breath of confession and absolution for their souls to live. Dads, one thing I’ve learned in being a dad is that we all mess up. We are selfish sinners. So we will grow impatient, speak harshly, and criticize unfairly. Our selfishness will conflict with the selfishness of our wives and our kids. This is unavoidable this side of heaven. But I’ve also learned, dads, that when you mess up, it’s best to ‘fess up. Admit it when you’re wrong. Admit it to God and ask for his forgiveness. Admit it to your family and ask for theirs. In this way you will exhale the carbon dioxide of sin, guilt, and shame that would otherwise poison your soul. But don’t stop there. If you only exhaled and nothing more, you would still die. Inhale too. After you’ve exhaled your sin in open, honest confession, then inhale the life-giving oxygen of the gospel. Breathe in the wonderful, joyous, blissful truth that your sins are forgiven by Jesus. He’s paid for all of your sin, guilt, and shame. And he’s taken it all away. Take a deep breath and feel the life, peace, and energy that absolution gives. Sound too easy? God promises it! “If we confess our sins, he is faithful and just and will forgive us our sins and purify us from all unrighteousness” (1 John 1:9). As God breathed life into Adam’s lungs, he breathes spiritual life into our hearts by his forgiving grace. And as we dads model the daily breath of the Christian through confessing our sins and trusting in the absolution Christ gives, we’ll help our kids breathe a little easier too. They will be able to confess their sins to us, knowing that, even while we enforce consequences, we will also be quick to forgive and to assure them of God’s forgiveness. One day soon, unless Jesus returns first, each of us will take our last breath in this world. But with confession and absolution a part of our daily routine, as common as breathing, we will stay ready for that day and help our kids to be ready too. So let’s continue to exhale our sins in confession and inhale the life-giving Word of forgiveness that’s ours in Jesus. It’s the only way to live. Rob Guenther and his wife, Becky, have four sons ages 5 -14. Rob serves as pastor at Grace, Kenai, Alaska. https://wels.net/wp-content/uploads/2015/02/711x400-Together-HeartToHeart.jpg 400 711 Sarah Proeber https://wels.net/wp-content/uploads/2013/04/WELS-logo3.png Sarah Proeber2018-06-30 01:00:392018-05-24 00:51:14Heart to heart: Parent conversations: What do new dads truly need to know?